According to data from the Institute of Medicine, as many as 98,000 people die and 974,000 are injured in U.S. hospitals each year as a result of preventable medical error. Such errors led to negative consequences such as additional days spent in the hospital, loss of ability to manage daily living activities, organ damage, loss of a limb and death. In addition to the physical and emotional impacts of medical error on both patients and healthcare providers, failures often have large financial consequences. In fact studies show that the financial cost of these errors is estimated at $17-29 billion per year. The Joint Commission for Hospital Accreditation reviewed nearly 2500 patient cases and found that 70% of negative medical outcomes resulted from ineffective teamwork and/or communication. In response to these and similar findings, the Institute of Medicine (IOM) called for significant changes in the way health care providers are educated and trained in order to decrease the unacceptable rate of medical errors prevalent in the United States. The concept of interprofessional education (IPE) has been proposed by many healthcare organizations as a way of equipping future health professionals with the skills needed to decrease medical errors and address the changing needs of patients. Therefore, WesternU responded to the IOM’s call to action by developing a wide-reaching Interprofessional Education (IPE) curriculum! During the first year of your professional program, you will meet with nine fellow students and one faculty facilitator for several case studies. Each case study takes four hours and is spread over several weeks. 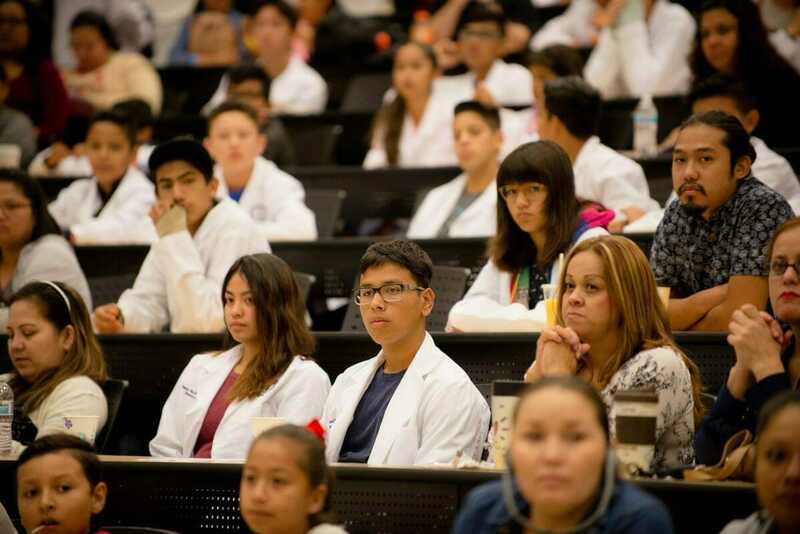 Each case study consists of a diverse mix of students from eight of our professional programs in Pomona, CA; Osteopathic Medicine (DO), Physician Assistant (MSPA), Physical Therapy (DPT), Pharmacy (PharmD), Nursing (MSN), Veterinary Medicine (DVM), Optometry (OD), and Dental Medicine (DMD). In Lebanon, OR, our Osteopathic Medicine (DO) students work with Nursing (ADN), Pharmacy (PharmD), Veterinary Medicine (DVM), Public Health (MPH), Occupational Therapy Assistant (OTA), Medical Assistant (CMA), and Diagnostic Imaging students from nearby schools. At the beginning of each case study, you will receive a clinical case scenario. Additional case details such as risk factors and environmental concerns will be divulged as the case unfolds. As a team, you will explore the various biological, psychosocial, and relational aspects of the case that might affect your team’s diagnosis and recommended treatment of the patient. The IPE curriculum is case-based and grows increasingly advanced as you move through the program. Initial cases concentrate on honing your communication and interpersonal skills, analyzing ethical issues, and developing your understanding of the other professions. Intermediate and advanced level IPE courses focus more on the diagnosis and treatment of standardized patients you’ll see in the simulation lab, or real-life cases you’ll assess in various settings including our Patient Care Center, community health fairs, and volunteer club events. The IPE curriculum continues in your second year, where you will have the opportunity to work with your fellow students across all disciplines in an online setting. For more information about WesternU’s IPE initiative please visit the Interprofessional Education website. To assist in designing the Interprofessional Education curriculum, we conducted a pilot study with students in six of the programs that participate in IPE. The case they received was that of an obese middle-aged man who presented in the emergency room after a fall. As the case developed, the pilot study teams learned of other patient risk factors, including hyperglycemia, elevated blood pressure, and unhealthy life styles. They also acquired information about the health of other parties in the patient’s life including his daughter and their dog. As the case continued to unfold, they discussed the psychosocial issues exacerbating the underlying health issues. The pilot study was very successful and provided solid data upon which to design the curriculum. You can expect to see a range of cases in the interprofessional curriculum that can cover diabetes, obesity, stroke, cardiovascular, and cancer. Know about and respect your colleagues in other disciplines. Appreciate the added value of being a member of a diverse health-care team. Have the skills and desire to work collaboratively with health professionals from numerous disciplines to better patient health. Develop lasting networks with future health professionals from 12 other disciplines. We believe these skills will enable you to practice more effectively because you will have an extensive professional network to call on as needed. In addition, you will have the wherewithal to confidently and appropriately refer patients. This ultimately benefits your patients because they will receive timely care from the most appropriate health-care providers, thus minimize costs and patient recovery time, and maximize their potential for improvement or full recovery. 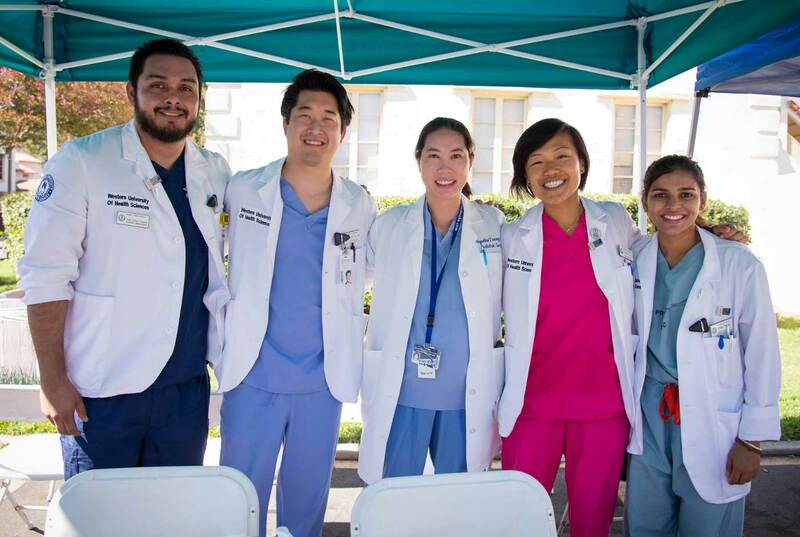 As national health-care organizations and employers continue to emphasize the importance of team-based health care, it is likely that your interprofessional training will enhance your employment opportunities. The growing number of elderly with chronic conditions will also make coordinated care even more important over time.